The Greg Norman Forward Series Heathered polo is designed engineered from fiber to finish so you can experience cutting-edge technology with a soft touch and an extremely comfortable fit. Enjoy the comfort out on the town or on the golf course. You are covered in the sun with UV protection against harmful sunrays and moisture wicking technology that keeps the skin cool and dry when sweating. 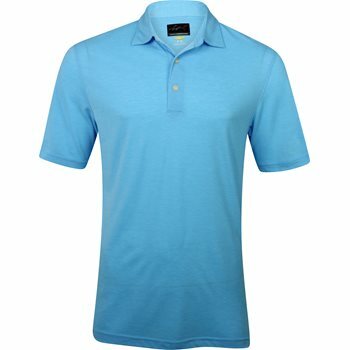 The polo features easy care, luxury fabric that is ultra-soft; drapes well; absorbs moisture; provides durability for machine washing; and offers resistance against shrinking and wrinkles.